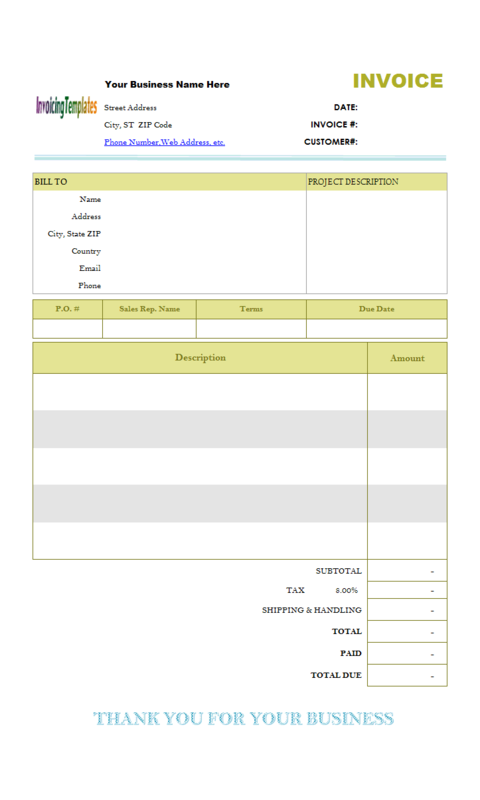 Broker Fee Receipt Templates is a sub-topic of Designer Invoice Templates In Excel , Tax Invoice Templates . 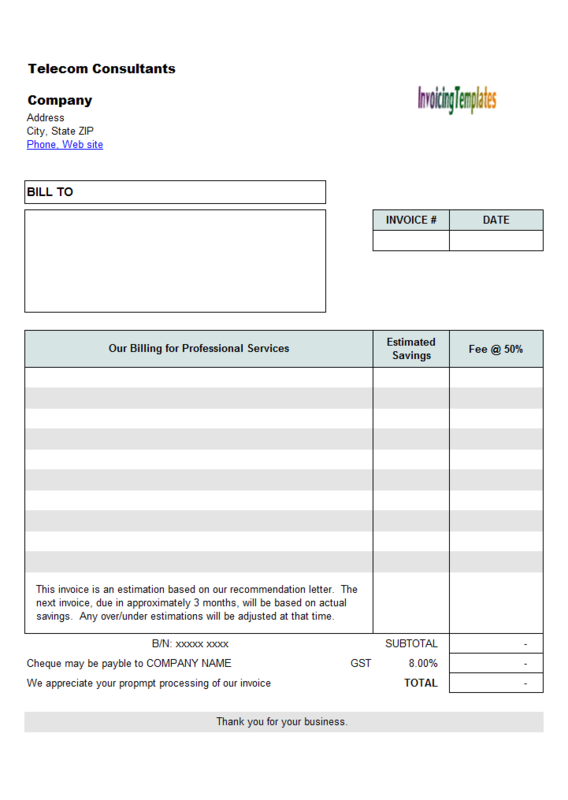 Here are our templates closely related to Broker Fee Receipt Templates. 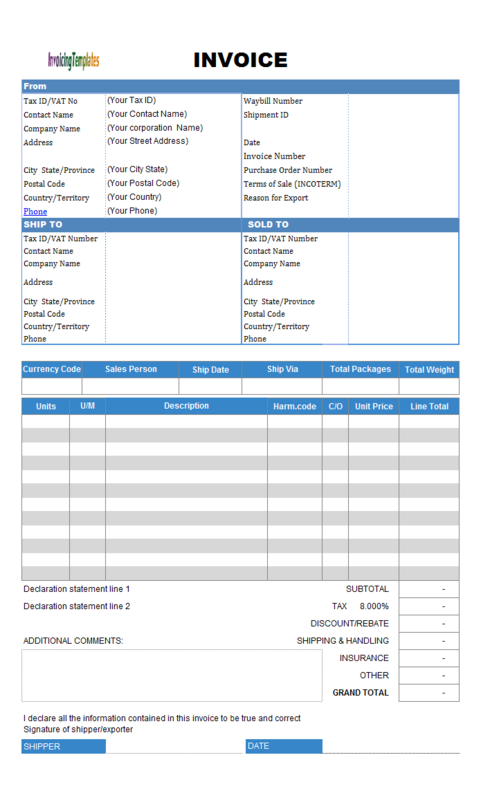 To create this service receipt template from the original receipt template, all you need to do is to unprotect the Invoice worksheet, and then drag the cells / cells you don't need from the printable receipt form to place it outside the printable area. 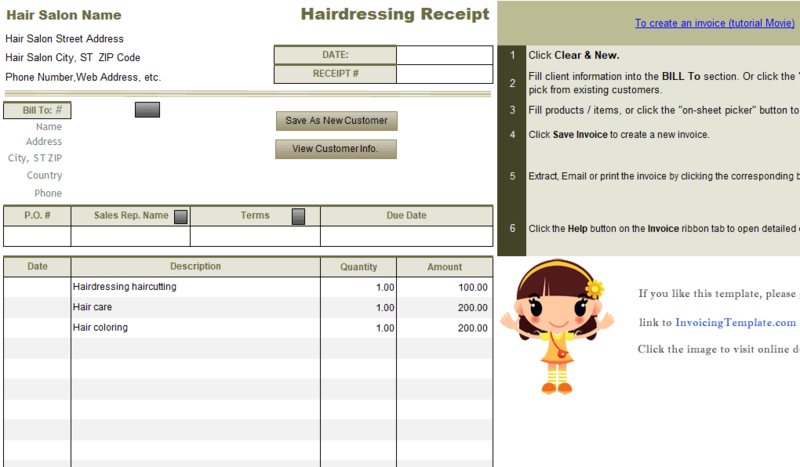 Many point-of-sale terminals or cash registers automatically produce receipts. 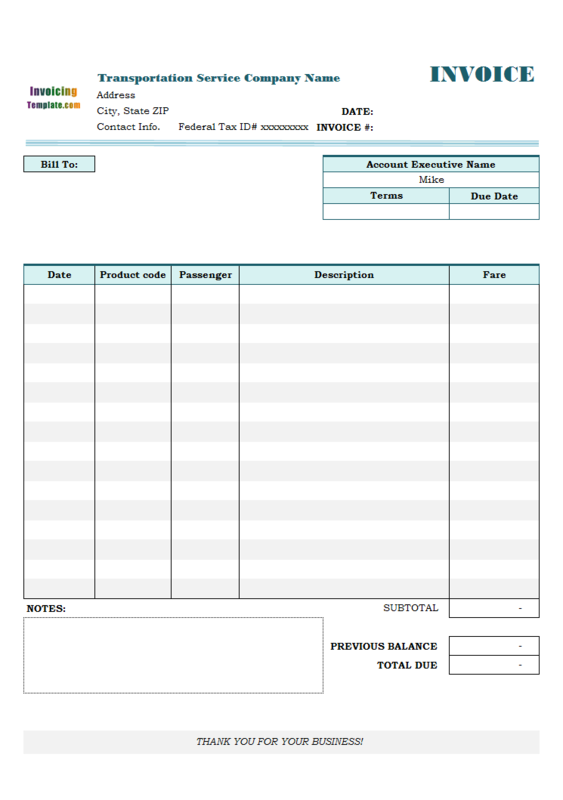 If you are not using these devices but is asked to provide a receipt when you receive a payment from a customer, you can write it by hand or in a more professional way, print one by using a template, which could include your company logo, letter header, as well as the ability of auto-calculation of subtotals, taxes, grand totals, as what we implemented in this sample. 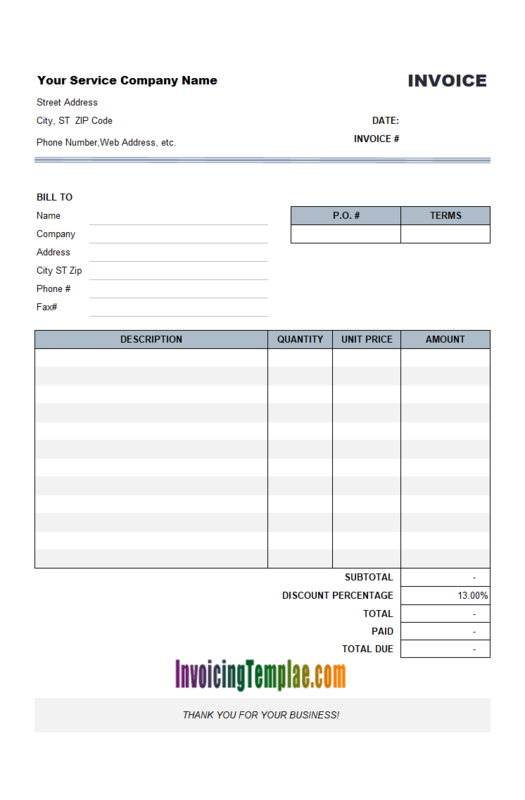 Hand-written or hand-completed receipts are suitable for infrequent or irregular transactions, or for transactions conducted in the absence of a terminal, cash register or point of sale: for example, as provided by a landlord to a tenant to record the receipt of rent.If you are providing invoices to your customers and clients, usually you don't need a separate receipt template. You could just stamp or write "Paid" in big letters on a copy of the Invoice. 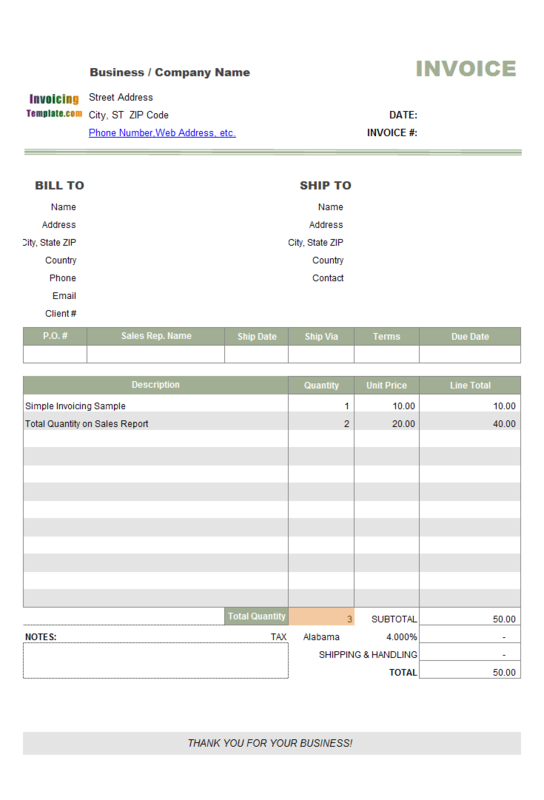 If you use Invoice Manager for Excel (namely Uniform Invoice Software), the status of an invoice (Pending, Paid or Voided) is marked automatically. I.e. 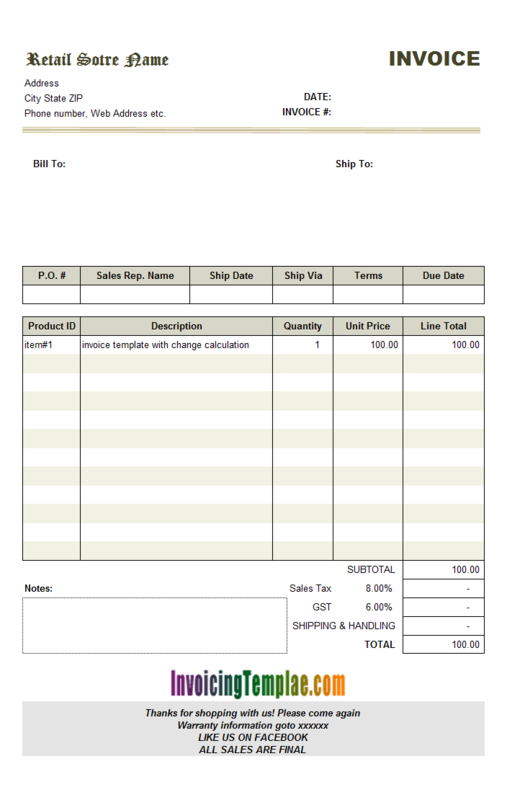 if the balance due is zero the invoice is marked as paid. 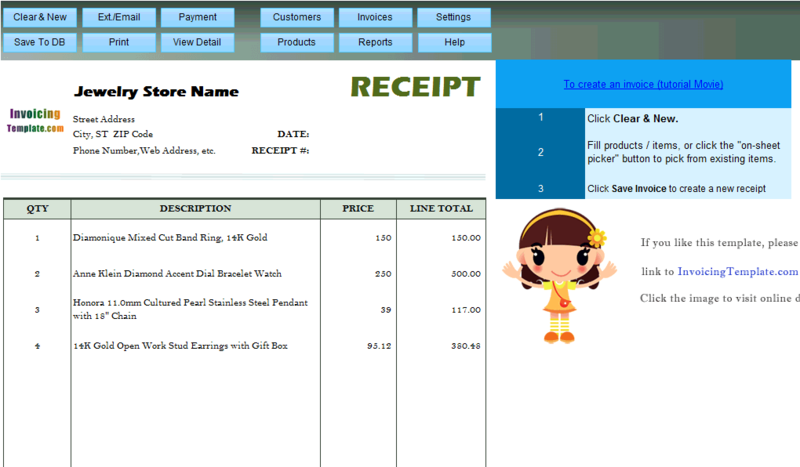 Invoice Manager for Excel (namely Uniform Invoice Software) is able to keep records of your customers, products (items), invoices and payments. With Invoice Manager for Excel (namely Uniform Invoice Software), you work within your invoice spreadsheet, but have all the powerful features accessible from Excel ribbon and task pane. 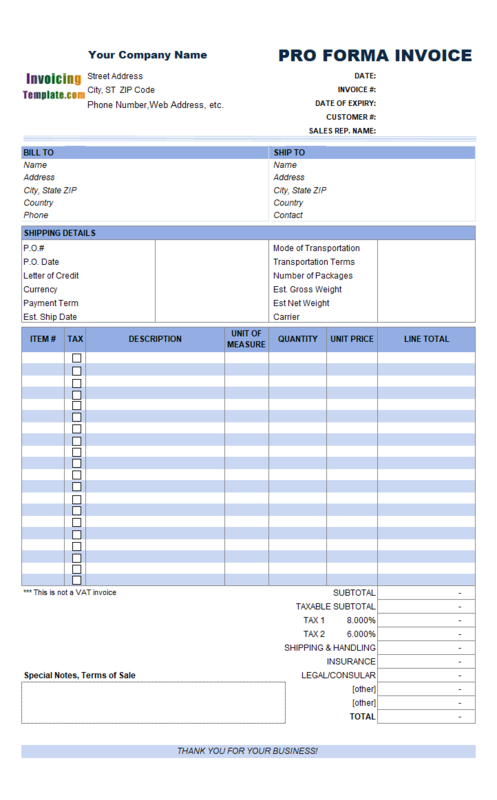 Further more, you have all the familiar Excel tools for customizing the receipt format and layout, such as changing fonts, colors, borders, fill patterns. If you are an Excel guru, advanced customizations are also possible, such as add new features using Excel macros or define the relationship between cells by using Excel formulas. 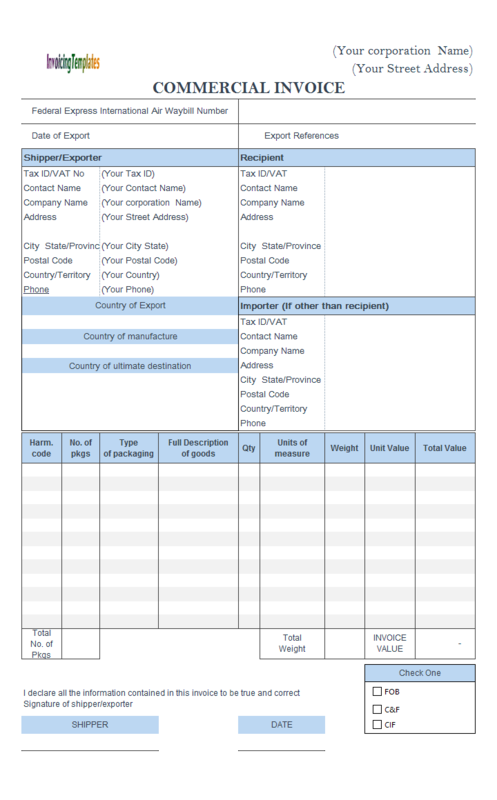 All the templates available here on InvoicingTemplate.com are created by our self, and they work with Invoice Manager for Excel (namely Uniform Invoice Software). They are pure Excel formats and templates without macros attached, and are not locked with a password. This enables you to tweak the template in the way you like. 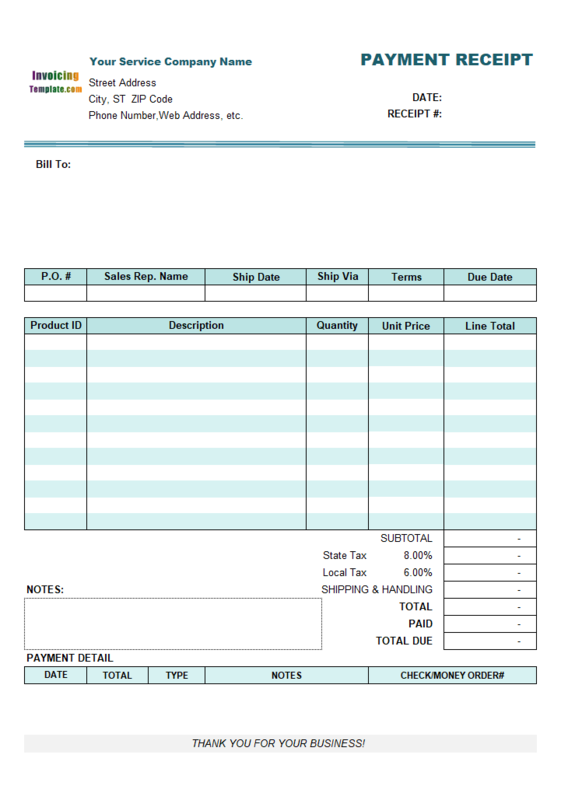 The blank payment receipt template is formatted as an Excel ".xls" document. 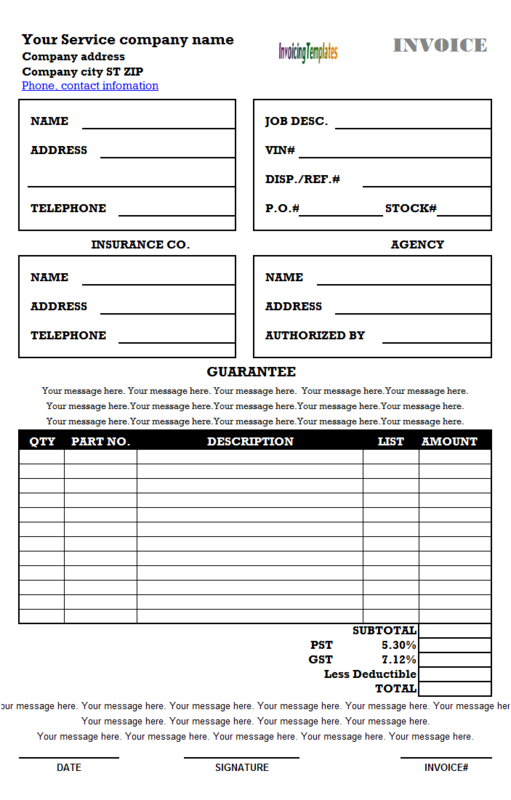 Like the original design for gold shop, this template does not include the customer details on the printable form. 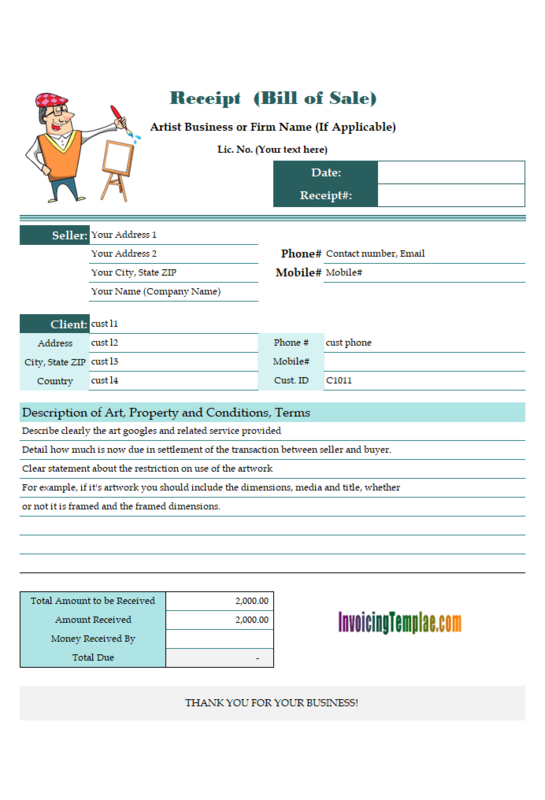 It includes on tax on the bottom of the form with the general name "TAX". If you want to rename it to something like "VAT" or change the default rate, clicking the "Settings" button, and then go to the "Taxes" tab. The product# column is place to the left of the printable area. 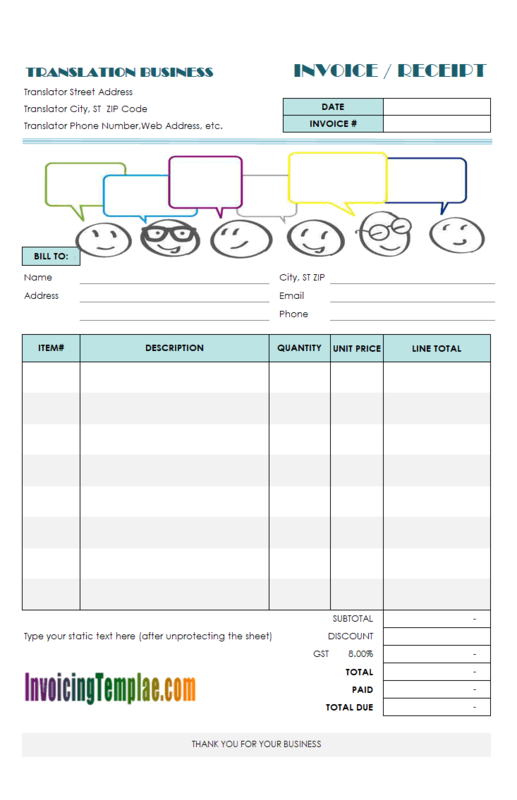 Although the term "product" is used here, you can actually use it for consulting service items. 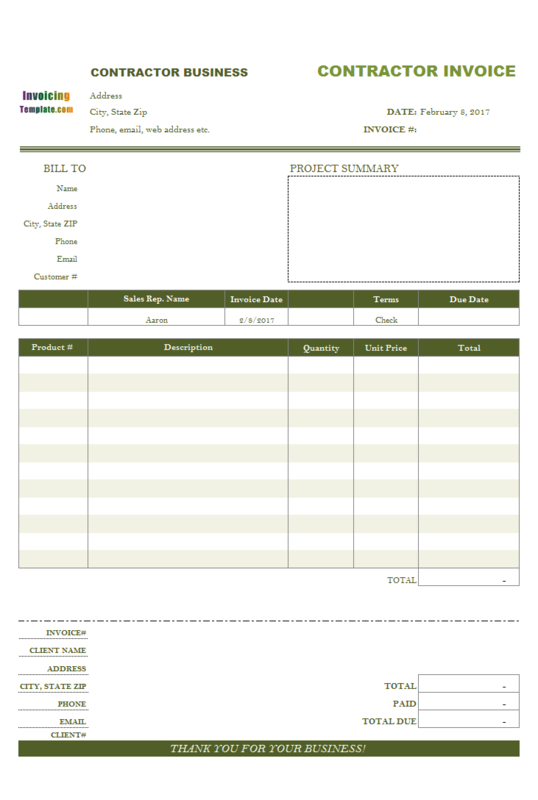 If you use the Invoice Manager for Excel (namely Uniform Invoice Software) edition of Telecom Consultant Estimation Template, the product management features of the Excel Invoicing Software helps you management consulting service items, so that you don't have to enter the same or similar description text again and again. 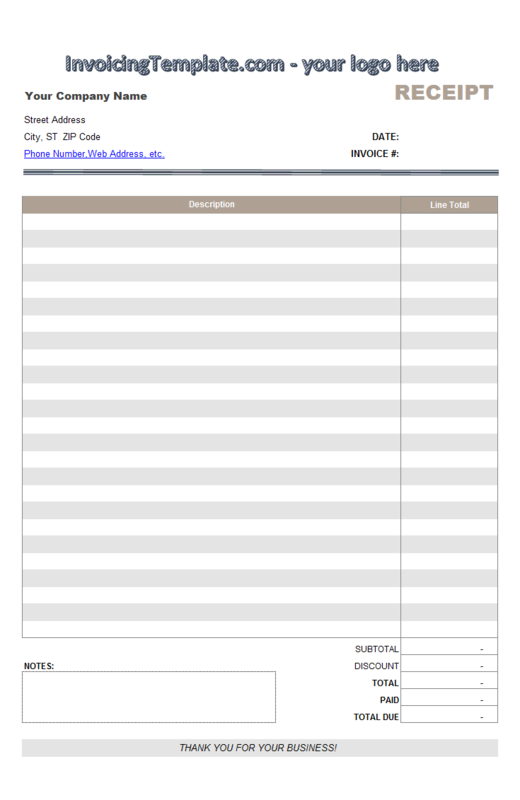 Note that there are other commercial invoicing templates too. 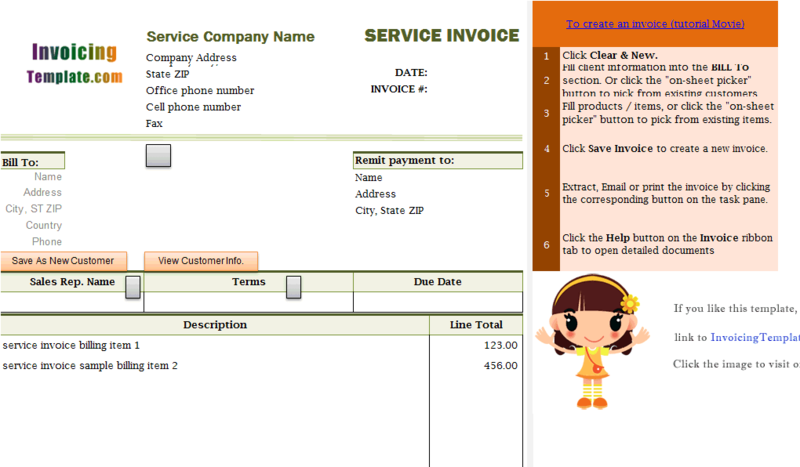 For example, DHL has a tutorial on this topic at Prepare Your Commercial Invoice. 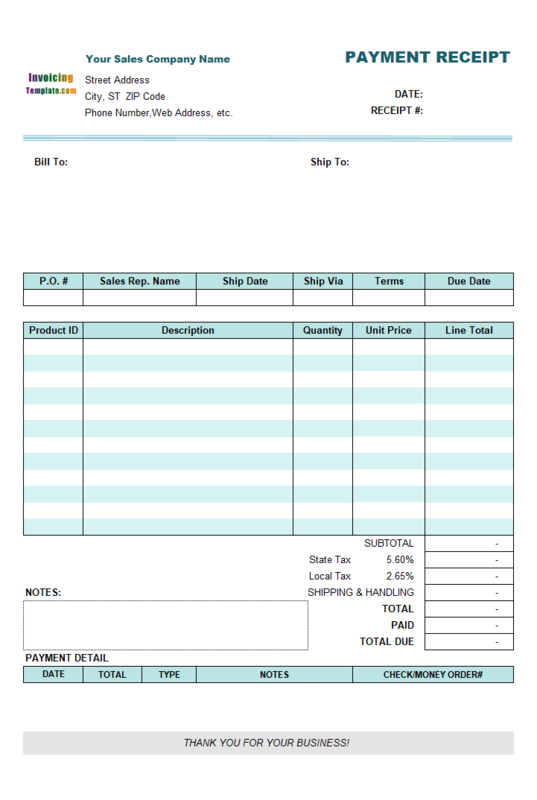 ShipNorthAmerica Transportation provides Free generic commercial invoice forms & templates on their website. Microsoft has an online version here. 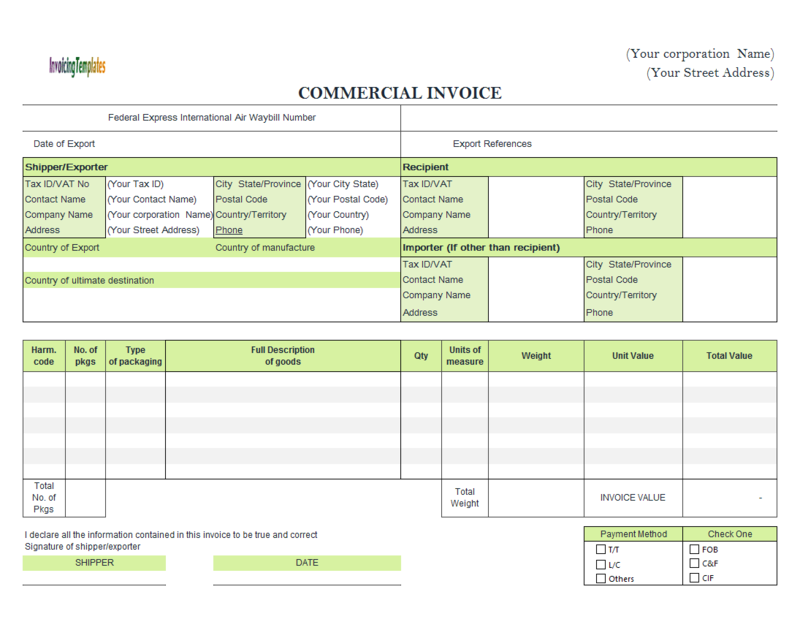 And here at InvoicingTemplate.com, we've already published several sample templates too, such as Commercial Invoicing Template, Commercial Invoice Template with Colorful Business Name, Blank Commercial Invoice Template, Free Commercial Invoice Template (UPS Style). There is no specified format for either a commercial invoice or a pro forma invoice, according to the U.S. Customs and Border Protection website. 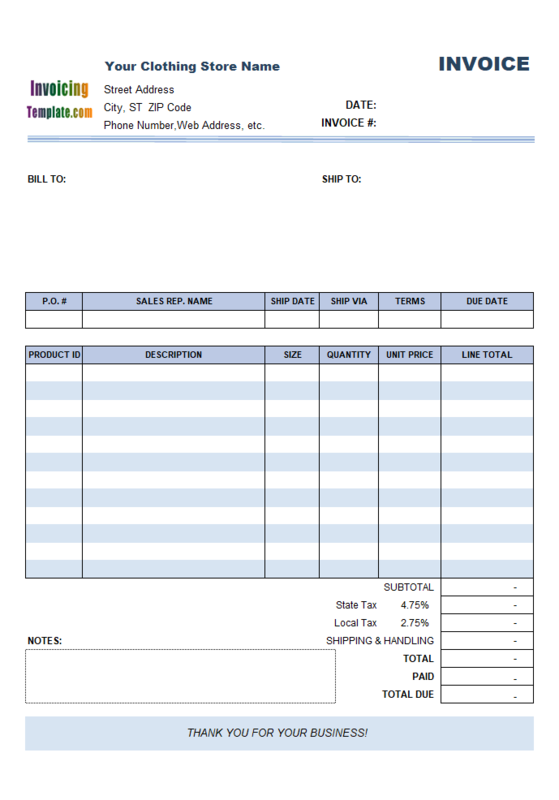 However, a commercial invoice must disclose certain required information, including a description and quantity of each item being shipped, the value of the shipment in both U.S. dollars and in the foreign currency, the country of origin, location of purchase, and the names and addresses of both the seller and the purchaser. U.S. Customs and Border Protection does not require the same information on a pro forma invoice. 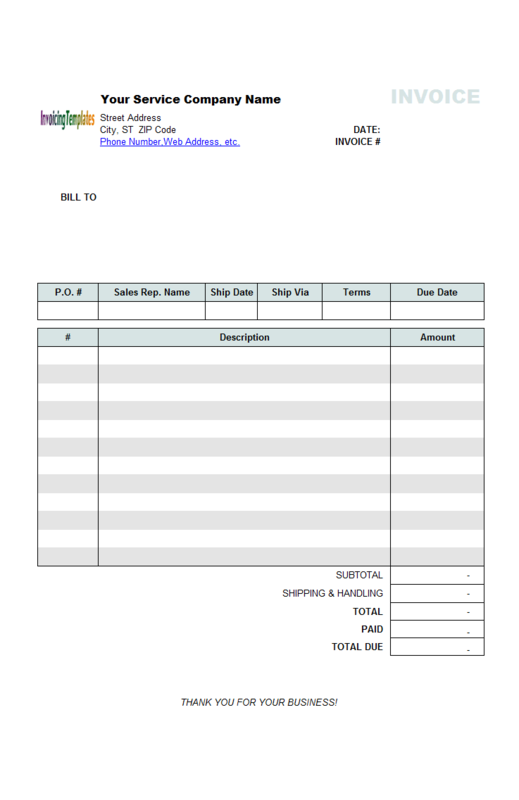 The duplicate "Bill To" section is created simply using Excel formula. For example, "Client Name" ($F$39) is filled with the Excel formula "=oknWhoName", where "oknWhoName" is the cell name / range name for a cell inside the "Bill To" section; similarly, "Address" ($F$40) is filled with the Excel formula "=oknWhoAddress", where "oknWhoAddress" is also the name of a cell inside the "Bill To" section. 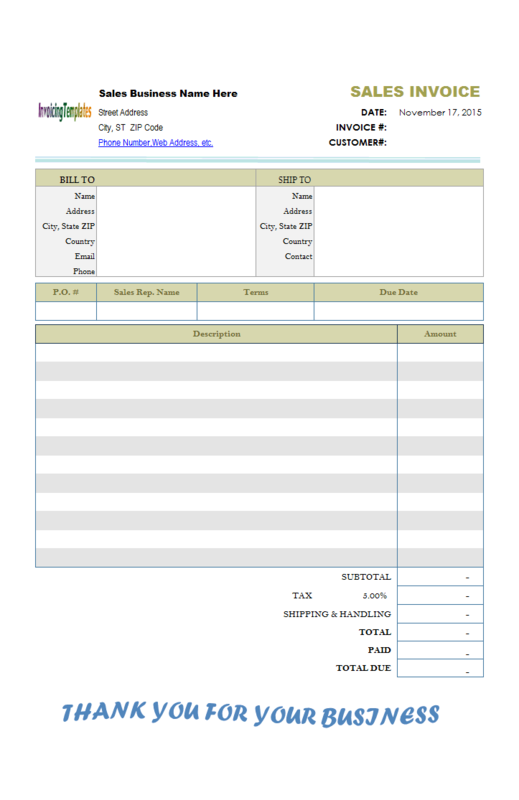 All these fields within the remittance slip section are filled automatically whenever you pick up a client manually, or with the on-sheet picker button, or by entering the client# into the "Customer#" field directly.